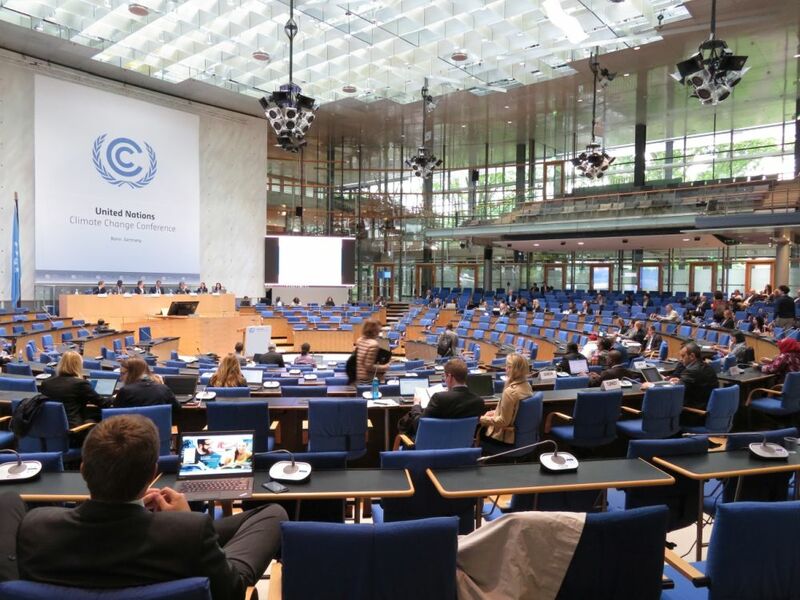 COP 21 called for the strengthening of the existing technical examination of opportunities with high mitigation potential and associated adaptation, health and sustainable development co-benefits in the period 2016–2020, taking into account the latest scientific knowledge. 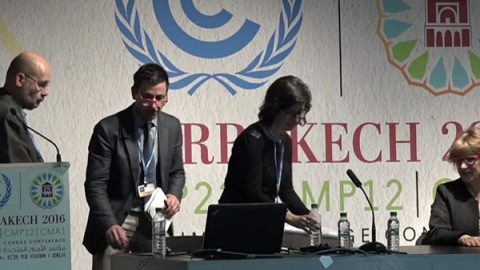 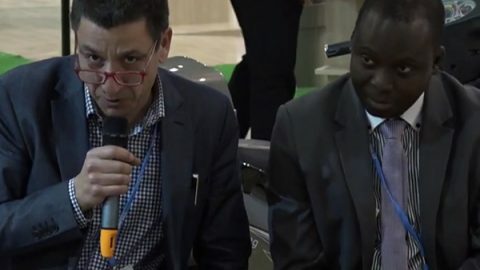 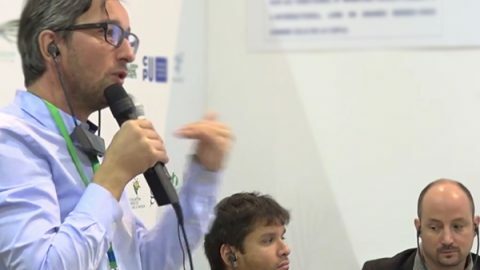 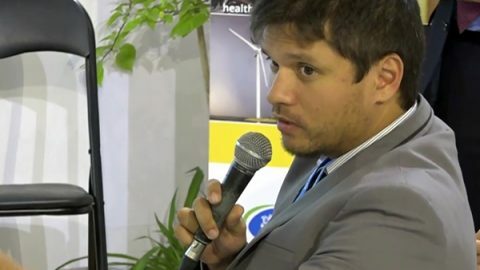 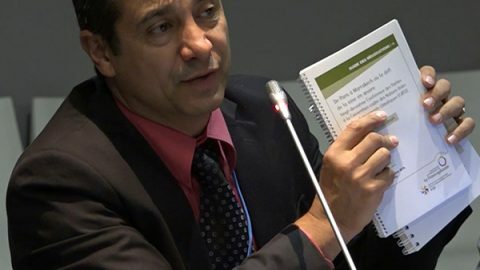 It requested the UNFCCC secretariat to organize the technical examination process on mitigation and disseminate its results, including by organizing regular technical expert meetings on mitigation focusing on specific policies, practices and actions representing best practices and with the potential to be scalable and replicable. 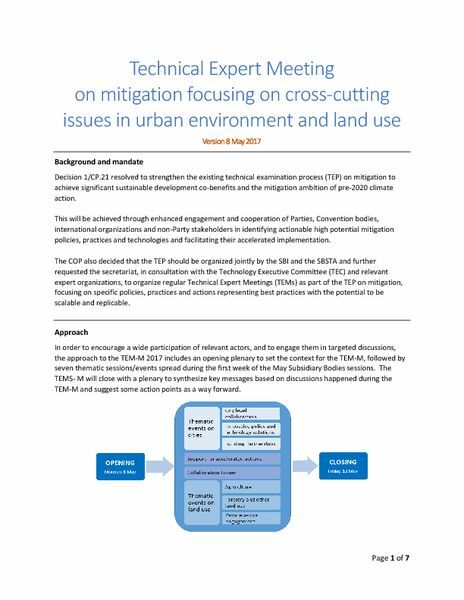 On behalf of the subsidiary body for implementation (SBI), the subsidiary body for scientific and technological advice (SBSTA) and the secretariat of the United Nations Framework Convention on Climate Change (UNFCCC), experts have been invited to attend and to share their views and experiences during the technical expert meeting on mitigation (TEM-M) on cross-cutting issues in urban environment and land use. 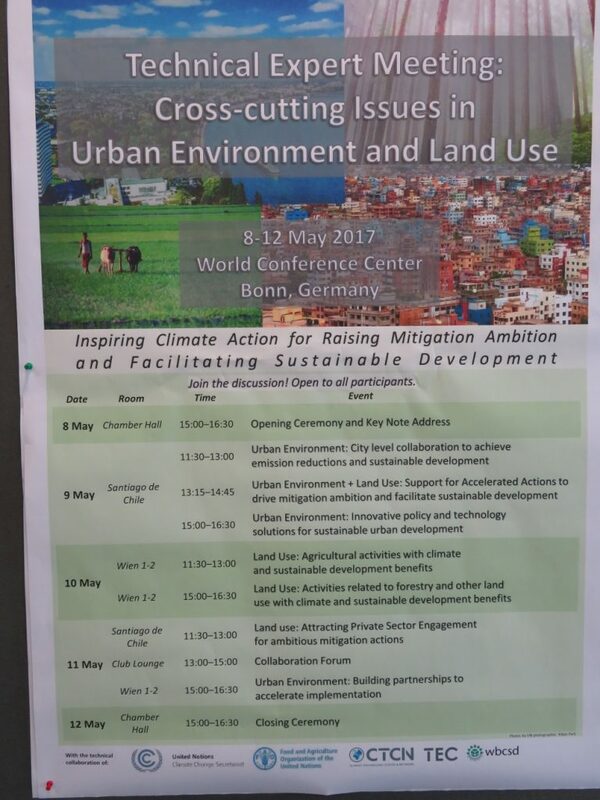 TEM-M, focusing on cross-cutting issues in urban environment and land use, will take place in Bonn, Germany from 8 to 12 May 2017, during the forty-sixth sessions of the UNFCCC subsidiary bodies. 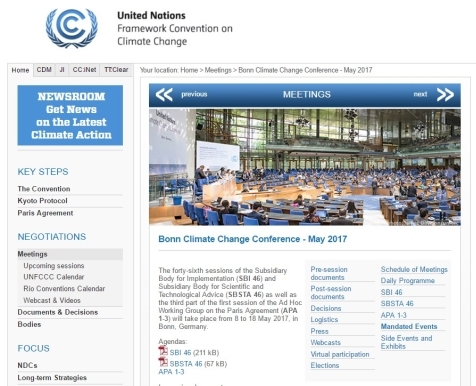 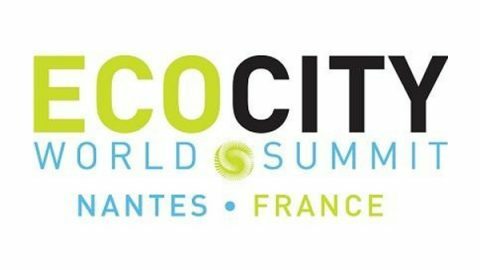 The meeting will bring together a broad group of stakeholders, including Parties, technical experts and non-Party stakeholders to discuss how climate action, related to the urban environment and land use, contributes to raising mitigation ambition and facilitates sustainable development. 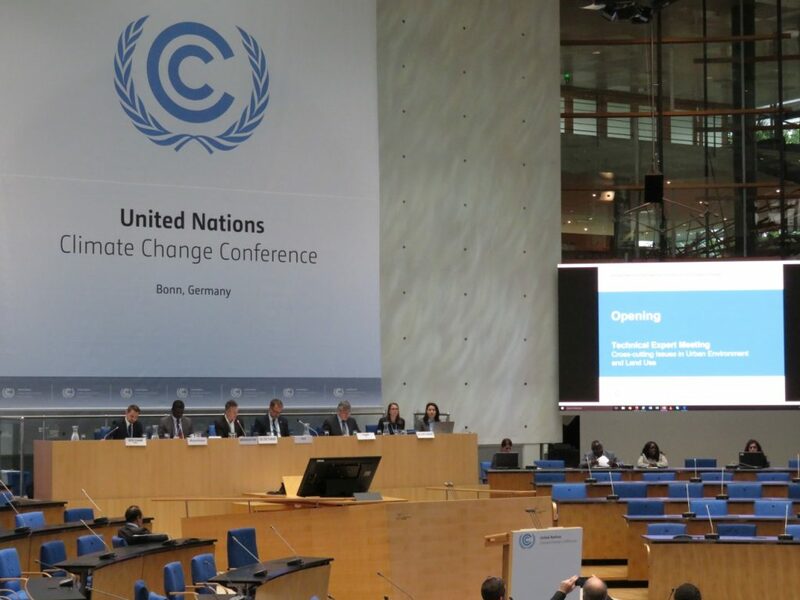 The purpose of the session was to provide national, regional and municipal governments with a forum to interact with international organizations and private sector representatives on opportunities for support and collaboration in the implementation of climate actions. 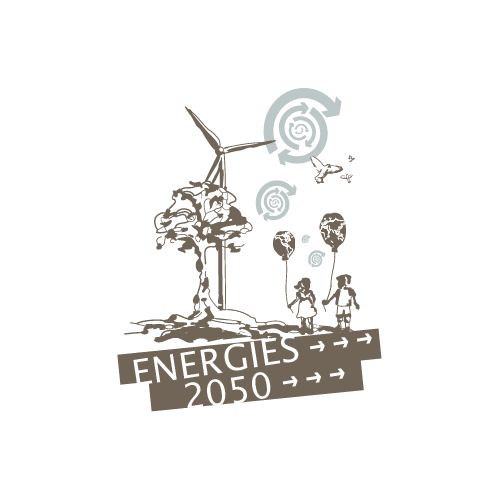 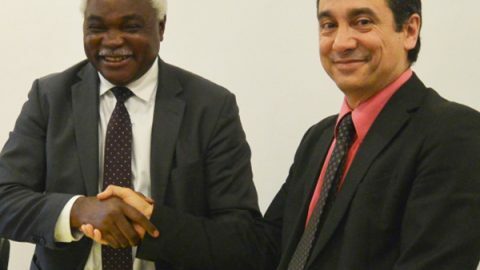 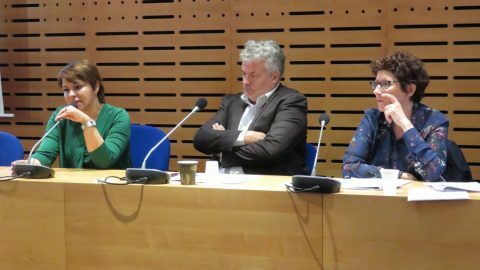 ENERGIES 2050, in partnership with Cités et Gouvernements Locaux Unis d’Afrique (CGLU Afrique), presented the recently established Working Group to help African cities access climate finance and in particular the Green Climate Fund (GCF).